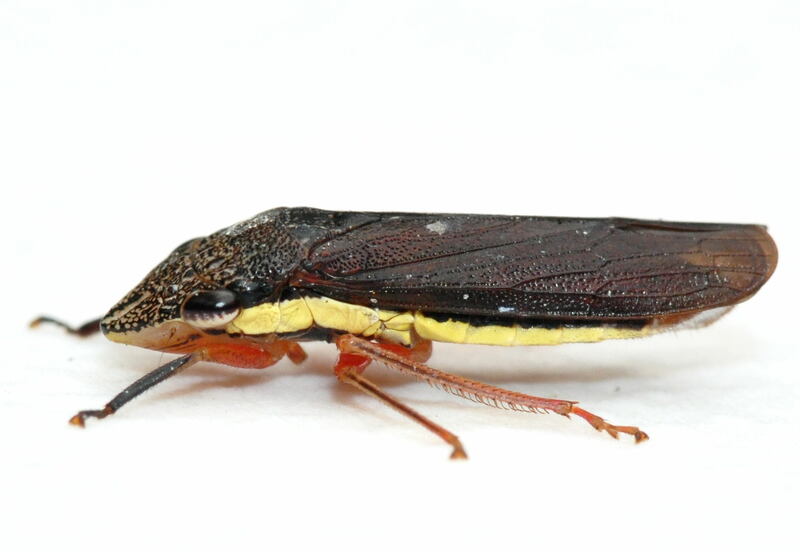 Description: A large, slender leafhopper with a very distinct coloration. 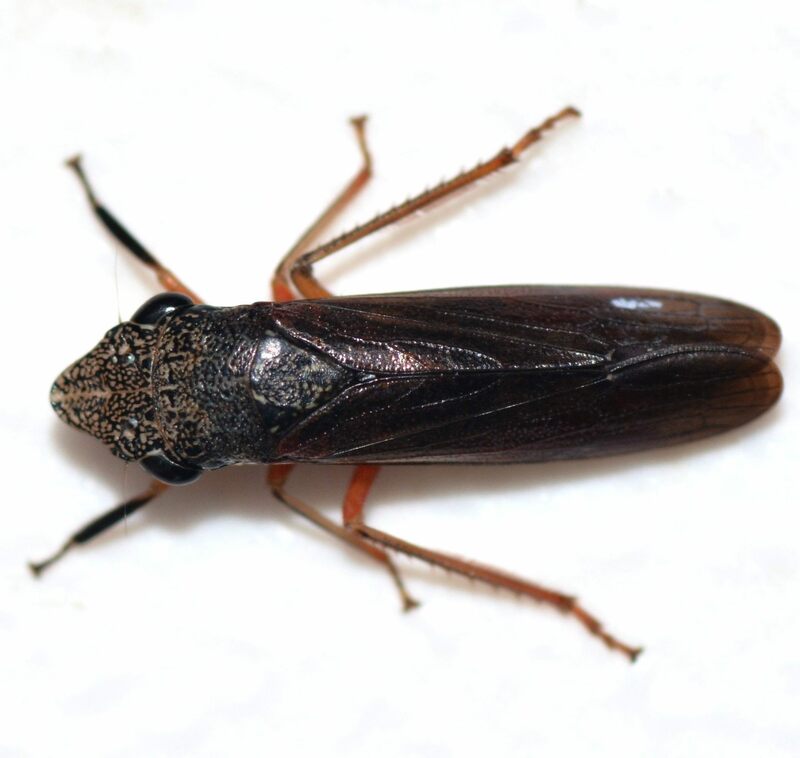 It has a mostly dark brown to black body with a large, bold yellowish to white band on the side of the abdomen. The head is speckled with small whitish spots, and the eyes are bicolored. The legs can have red or yellow bases. The underside of the body is reddish in color. 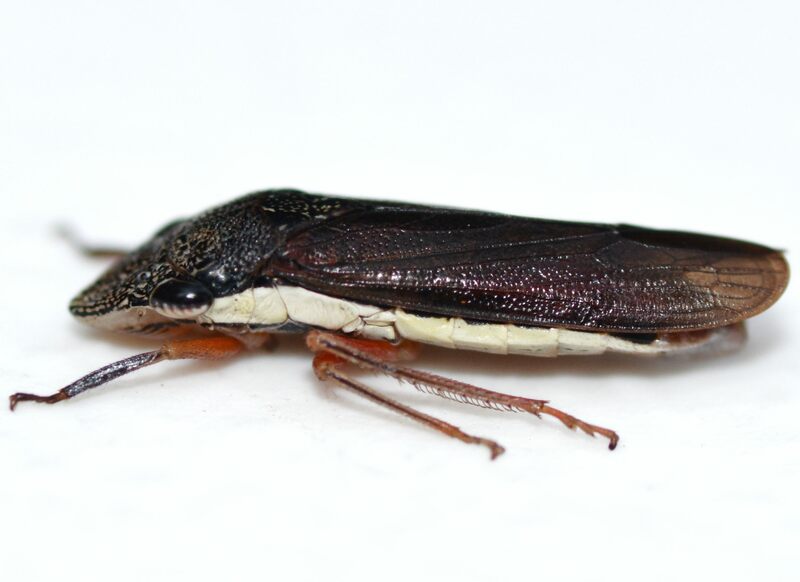 Per Bugguide, the distinguishing feature of this genus is the elongate prothorax, with the sides (propleuron) edged with a ridge under the pale band (BG). 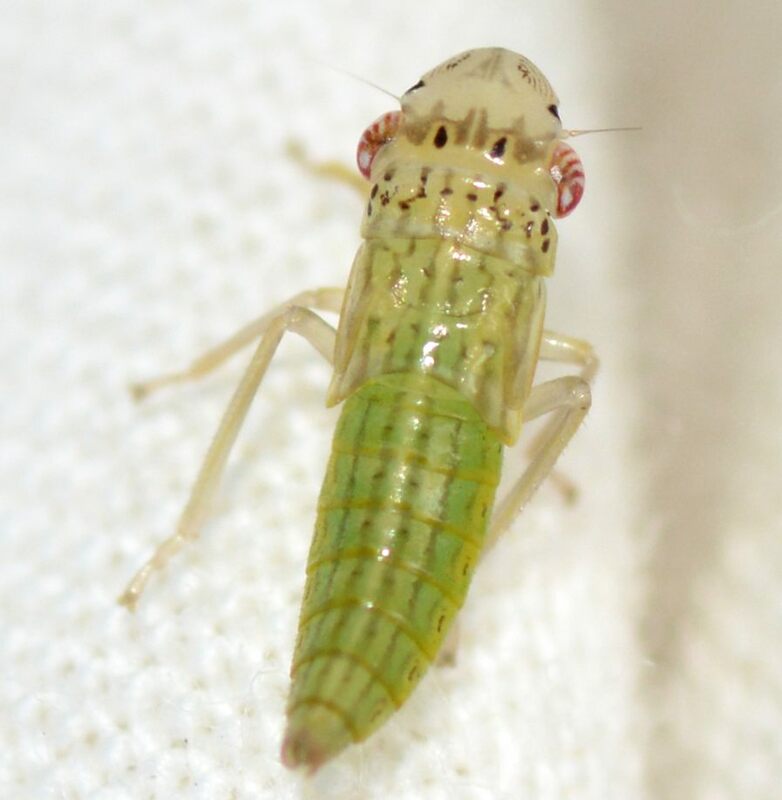 The infrequently encountered nymph is pale overall, with a light green abdomen and tan thorax and head. Many stripes and dots run across the body, and the eyes are red with white dashes on the edges. Distribution: A species found throughout the southern U.S., from Texas to the Southeast (BG). Abundance: Apparently an uncommon species, as it has been recorded from only a handful of counties in the mountains, Piedmont, and coastal plain. Possibly more abundant in the state in the right habitat. Habitats: Recorded in the state in grassy, brushy habitats such as fields and power-line cuts. Comment: The white bumps are a mystery to me? Or could it be another species not shown?